Great watch and super price. love the style and design. The watch was gorgeous my daughter loved it , it was a lovely fit and looked really classy . 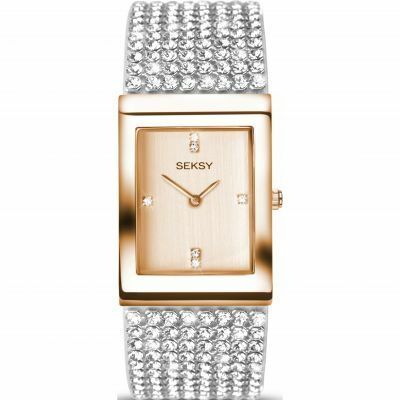 Beautiful watch very glamorous !!! I love my watch and your delivery service is excellent. This is my second Seksy watch and I will always continue to wear one. Really pleased, it was my Christmas present to me!! Absolutely love this watch. It looks better in the flesh than it did on the tv ad. Its actually a Christmas gift for my daughter but so tempted to keep it for myself. Love it!